Source : Citizen-nantes.com. Photo © Camille Millerand (of Rama Thiaw, author, filmmaker, producer, originator of letter). Translated from French. As the 15th Francophone Summit unfolded in Dakar from 29 to 30 November 2014, 11 African women filmmakers rose to voice their demand to President Abdou Diouf, current Secretary General of the International Francophone Organisation (OIF), to give support in an "effective" way, to "Pan-African and French cinema", using the strength of the organisation as vehicle for this action. It is known that the "Diamniadio Conference Centre", which hosts the summit, cost 77,748,998 euros (51 billion FCFA) and nothing is planned for it in the future, not even a major film school. This memorandum to journalists underscores the vital role of the media, large and small, to spread this urgent call, so that the President is aware that until he responds, the well-founded and legitimate impatience of these 11 women will remain. There is no transparency regarding funding for Cinema, in the rare exceptions where such funds exist. There is a total disinterest of our governments for Culture and more particularly for Cinema. Here in Senegal, two years ago the state promised us funding for Cinema, since then we have had three successive Ministers of Culture with no information, no timetable regarding this funding, for which inquiries have been made since November 2013. 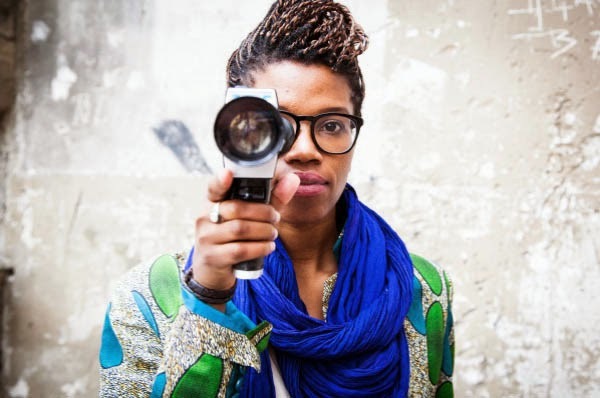 We are 11 African women filmmakers who have co-signed a long 7-page letter addressed to President Abdou Diouf, who serves as secretary of the International Francophone Organisation (OIF). Well of course, he has not yet agreed to meet with us ... Perhaps he is waiting for the last day of the Summit? In any event, we have decided to send it to the press. Knowing that if the funding disappears, it will be simply devastating, because it will mean that as Francophone African filmmakers and producers, we will no longer have a financing source. Moreover, it is also the first time that 11 women filmmakers from the continent are taking collective action. We would like to publish it, knowing fully well that it may be shortened.